Judge Robert Elgee is considering vacating the first-degree murder conviction of a man found guilty by a jury in 1985 of killing his ex-wife in Jerome County 30 years ago. Elgee, presiding judge in a post-conviction relief case for convicted murderer Jaimi Dean Charboneau, ruled on Sept. 19 at the conclusion of a hearing in Jerome that Charboneau’s life sentence without the possibility of parole be vacated. Elgee made that ruling from the bench, and has since issued a written order stating that his Sept. 19 ruling is not final and that justice may not be served in the Charboneau case by resentencing alone. “While the court previously assumed it could achieve substantial justice in this case on a resentencing, that is no longer the case,” Elgee wrote in an order issued Sept. 26. Elgee stated that he is now considering whether information presented in Charboneau’s post-conviction relief case is sufficient to warrant voiding the conviction altogether. Elgee, who normally presides in 5th District Court in Blaine County, was assigned to the case following the disqualification of Jerome 5th District Court Judge John Butler. Elgee stated that his position on the Charboneau case was heavily influenced by new evidence, which surfaced in 2011, that calls into question Charboneau’s culpability in the killing of his ex-wife, Marilyn Arbaugh, in 1984. Most important is a letter written in 1989 by Tira Arbaugh, the victim’s daughter, to the court where Charboneau was convicted. Arbaugh, who was then 14, stated that she was instructed by prosecutors in 1984 to falsify or withhold information regarding her mother’s death. Elgee earlier this year ruled that the Tira Arbaugh letter was hidden by state officials, either “willfully or inadvertently,” for 21 years and didn’t become known to Charboneau until 2011, the year he filed for post-conviction relief. Tira Arbaugh died from an asthma attack in 1999. The judge is also considering an affidavit from former Jerome County Sheriff Larry Gold, which surfaced along with the Tira Arbaugh letter in 2011. In the affidavit, Gold, who served as sheriff from 1989 to 1993 and is now deceased, stated that he had no proof but had come to believe that a conspiracy was under way to conceal information beneficial to Charboneau’s case in earlier post-conviction relief proceedings. Charboneau, now 54, was convicted in 1985 of shooting Marilyn Arbaugh multiple times with a .22-caliber rifle in a barn at her residence near Jerome on July 1, 1984. Charboneau has admitted to shooting Marilyn Arbaugh, but has claimed he did so in self-defense and has alleged that the fatal shot was administered by Marilyn Arbaugh’s then teenage daughter Tiffnie Arbaugh. In her letter, Tira Arbaugh did not provide information exonerating Charboneau or incriminating her older sister, but did state that a second rifle was involved on the day of the shooting, that it was fired by Tiffnie Arbaugh and that she was told by prosecutors to get rid of the weapon. She wrote that she did so by burying it. Charboneau was originally sentenced to death, but that sentence was voided by the Idaho Supreme Court in 1989 and Charboneau instead was sentenced to life in prison without the possibility of parole. Elgee wrote in his Sept. 26 order that resentencing Charboneau would not guarantee his release from prison because Idaho law requires that the sentence for a first-degree murder conviction be life in prison with at least a 10-year determinate sentence. 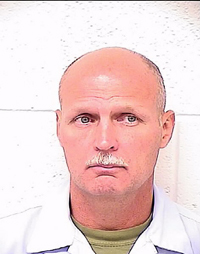 The judge wrote that even if he resentenced Charboneau to time served, he would still be subject to an indeterminate life sentence and that his release from prison would be up to the Idaho Department of Correction and the Idaho Commission on Pardons and Parole. Elgee has given defense attorneys Brian Tanner and John Lynn and the state, represented by Deputy Attorney General Ken Jorgensen of the Idaho Attorney General’s Office, until Nov. 18 to submit final arguments in the case. A new hearing has not been scheduled, but Elgee said at the Sept. 19 hearing that he intended to make a final decision on the case about 90 days from then. Charboneau, meanwhile, is currently being held in the Elmore County jail. He was brought to Jerome from a state prison in Boise for the Sept. 19 hearing and has been allowed to stay out of prison until there is a final ruling on the case. He was transferred to the Elmore County facility because of space limitations at the Jerome County jail.